Henry William Bunbury. 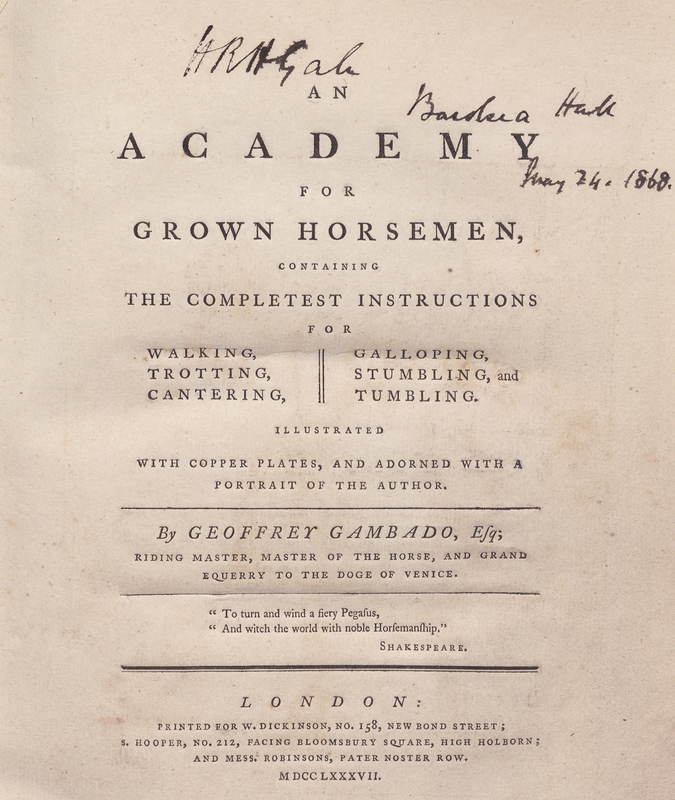 An Academy for Grown Horsemen: Containing the Completest Instructions for Walking, Trotting, Cantering, Galloping, Stumbling, and Tumbling. 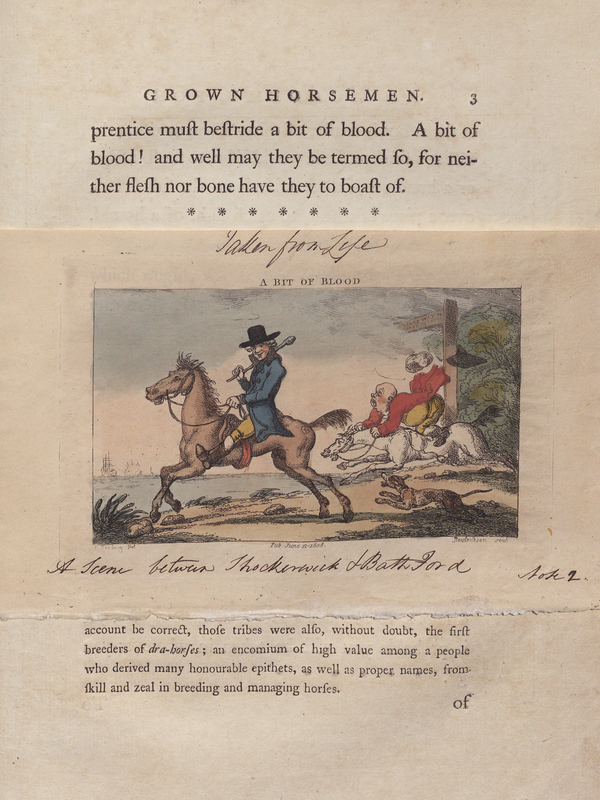 London: Printed for W. Dickinson, S. Hooper, and Mess. Robinsons, 1787. 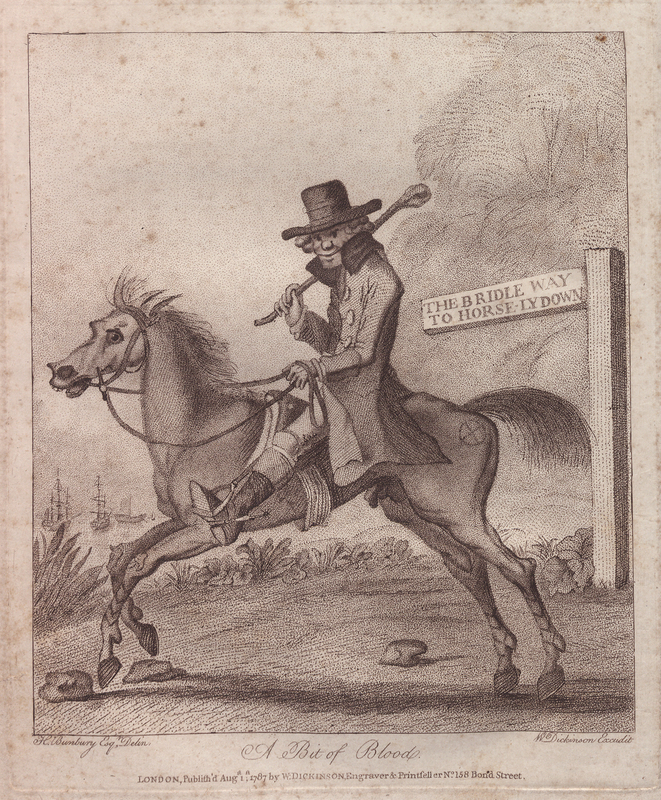 Born in Barton, Suffolk as the second son of the Rev. 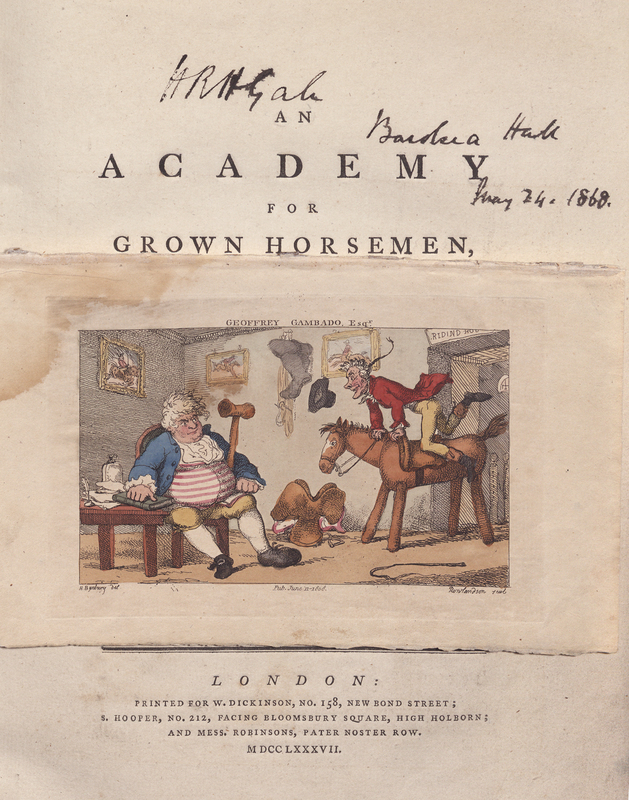 Sir William Bunbury, Henry William Bunbury (1750-1811) was an artist best known for caricatures such as Country Club (1788), Barber’s Shop (1803), and A Long Story (1782). 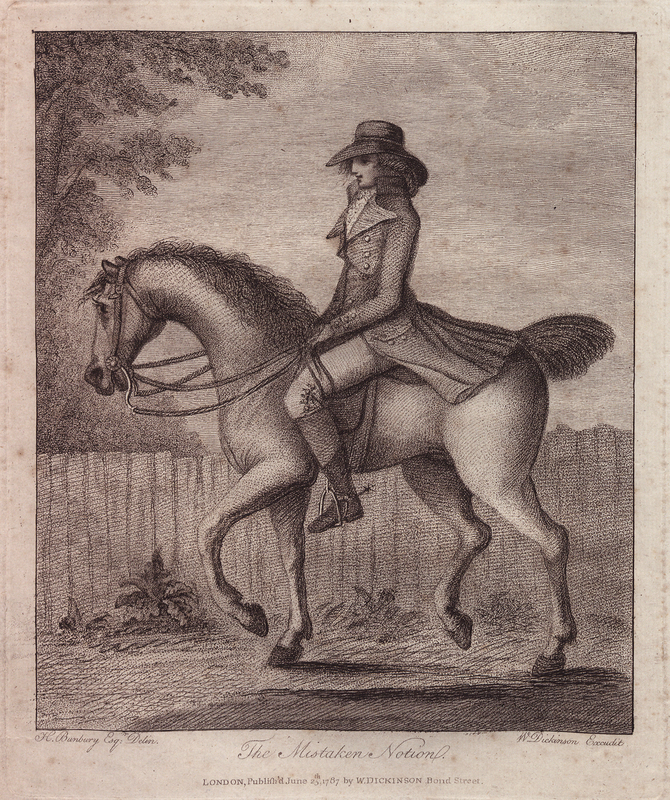 Educated at Westminster School and St. Catherine’s College, Cambridge, Bunbury typically drew in pencil or black and red chalk, and his designs were usually reproduced by engravers in stipple or dot. 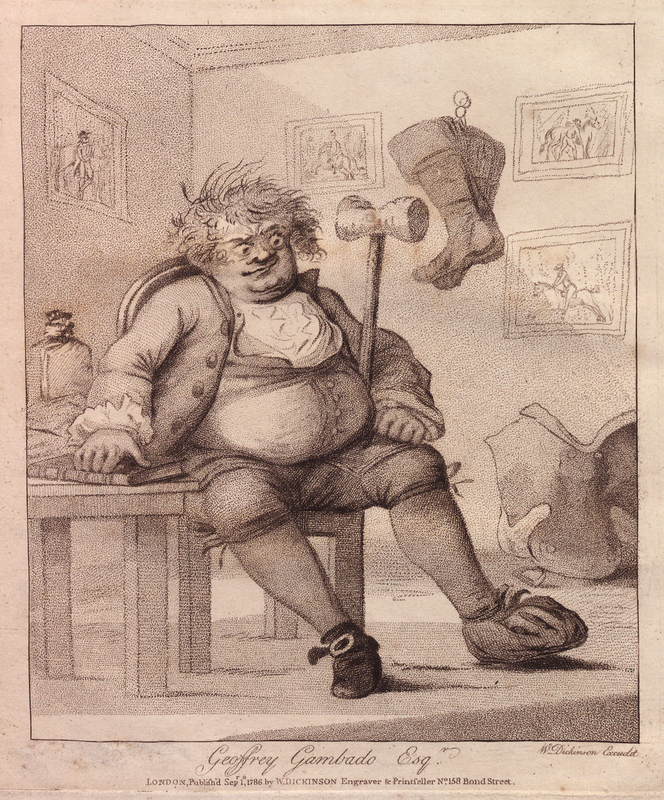 The first illustration shown depicts the author himself, who wrote under the name of Geoffrey Gambado Esquire, sitting down and wearing the typical English clothing of the late 18th century. 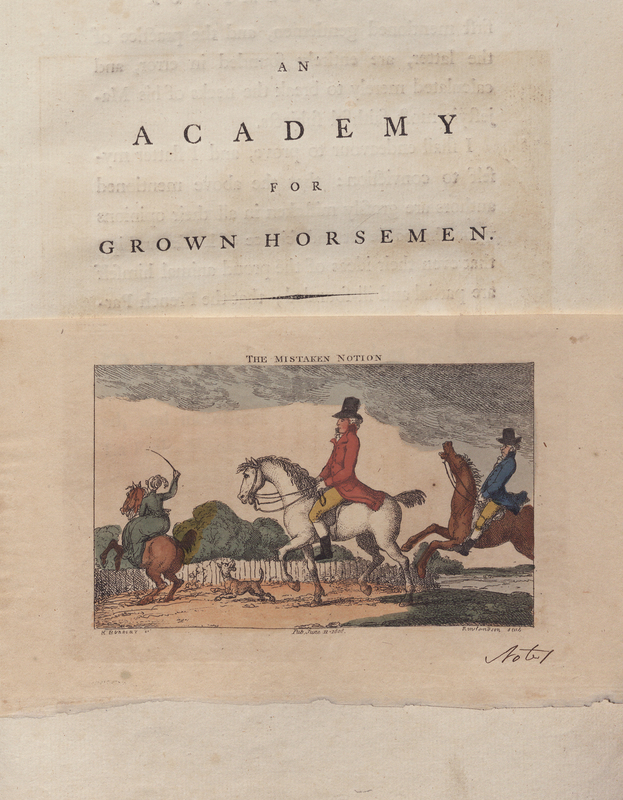 Subsequent illustrations show a series of men on horses.